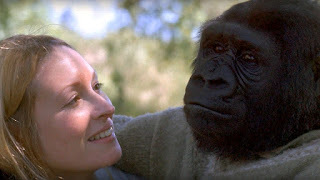 Meet Koko, a western lowland gorilla who has been taught sign language. She's making us question what we think we know about animal intelligence. Join in the conversation on social media with #TalkingGorilla. The full documentary airs on BBC One Wednesday 15th June and will be available on BBC iPlayer for 30 days afterwards. For those in the US, it's broadcast on PBS on the 3rd August.